Efe calls venturing out to create hand drawn stationery, and starting Rustic Papers, the best decision she has ever made. Raised in the sunny state of Florida, she has a heart for people and making them feel good inside; She works to create the perfect artistic print. She started designing hand drawn wedding and engagement invitations. She is able to customize it just the way you would like and can't wait to design something unique for your special day. 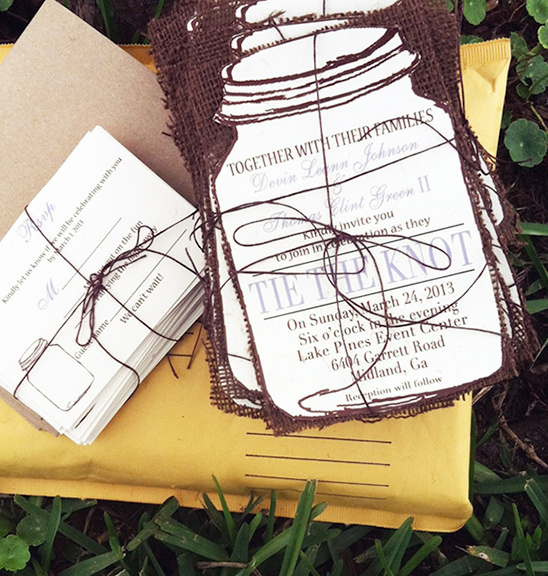 View all of her rustic designs here and don't forget to take a peek at their Wedding Chicks vendor page. Join us again on Monday for another Wedding Chicks vendor happy hour. To get information on becoming part of The Wedding Chicks, and join all the fun, email us by clicking here.